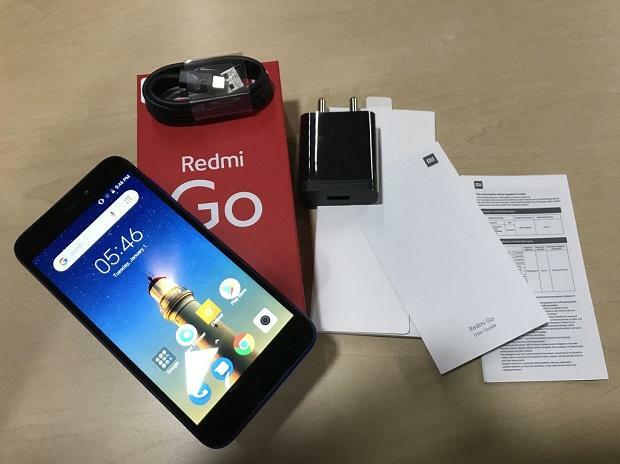 Redmi Go, an Android Oreo Go operating system-based smartphone from Xiaomi, is set to go on sale exclusively on Flipkart, Mi stores and Mi online stores on Monday. Priced at Rs 4,499, the phone will be available in black and blue colours. Aimed at first-time smartphone users, the phone comes bundled with a cashback offer worth Rs 2,200 and 100GB additional data from Reliance Jio. To avail the offer, Jio customers need to recharge their account with either Rs 198 or Rs 299 recharge plan. On a successful recharge, Jio would credit 44 discount vouchers of Rs 50 each to customer account along with 100GB additional data – both of which can be redeemed on future monthly recharge. The Redmi Go is powered by Qualcomm Snapdragon 425 system-on-chip (SoC), paired with 1GB of RAM and 8GB of storage -- expandable up to 128GB through microSD card. The phone boots Android Oreo Go, an operating system designed for entry-level smartphones with limited hardware resources. The OS comes preloaded with Google Android Go app suite, which includes a YouTube, Chrome, Google, Google Assistant, Files, Google Maps, and Gmail. It also supports lite apps from Facebook, Tik Tok, Twitter, Linked In, etc. The phone has a 5-inch screen of HD resolution, stretched in traditional 16:9 aspect ratio. Imaging is covered by an 8-megapixel camera on the back and 5MP lens on the front. The rear camera supports autoHDR, along with several modes for manual frame selection and scene customisation. The phone supports VoLTE and has a battery of 3,000 mAh.